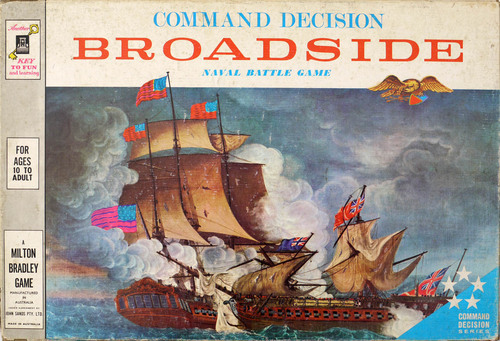 As a kid I had a board game called Broadside. Broadside was a naval game based on the War of 1812. It was published in 1962 by Milton Bradley. It was part of a series that included a game on the American Civil War called Battle Cry and a WW1 flying game called Dogfight. Each game featured plastic miniatures to play the game which was a novel concept back in the sixties. My dad over a period of time purchased all three games for me and in many ways playing these three games encouraged my interest in American History. In Broadside each side (red for the British and blue for the Americans) had the same number of miniature ships of various sizes. As I recall each player received a few Ship-of-the Lines (biggest and most powerfully armed in the period), Frigates, Brigs and Cutters. Each ship had a number of sails that were removable. If memory serves me the Ship-of-the-Line had five sails, the Frigates had four, the Brigs three sails and the Cutters only two sails. Each sail represented the ship’s capacity to sustain hits. When you were out of sails your ship was sunk. A British Cutter runs into an obstacle and loses a sail Tsk, tsk. As a twist the game featured a couple of narrow channels protected by shore batteries and channel obstacles that looked a little like floating mines. You had to plan your moves carefully and the player who risked shore battery fire or running into an obstacle carelessly could easily see his fleet diminished without inflicting any harm on the enemy. The game was a calculated war of attrition that enhanced the math skills of myself and my friends. Broadside and it’s sister games were a blast. They were perfectly geared to ten-year-olds and at least in my case encouraged my interest in history. In the American Civil War Game Battle Cry you received an American Heritage Booklet that discussed in summary form the battles of the American Civil War. In the WW1 flying game, Dogfight, you received a booklet that discussed the Aces of the Great War as well as their airplanes. The pieces that came in the game were plastic miniatures featuring a Fokker Triplane and a Spad 13. 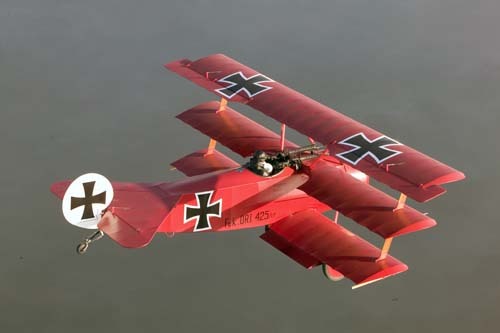 What ten-year-old but would not want to pretend he was the Red Baron? (I confess that I loved playing the Germans if for no other reason the little booklet made it clear that Baron von Richtofen was WW1’s leading ace with 80 victories. What ten-year-old boy would not fantasize about being Richtofen. Our own leading ace was Eddie Rickenbacker with 26 victories.) But I digress. 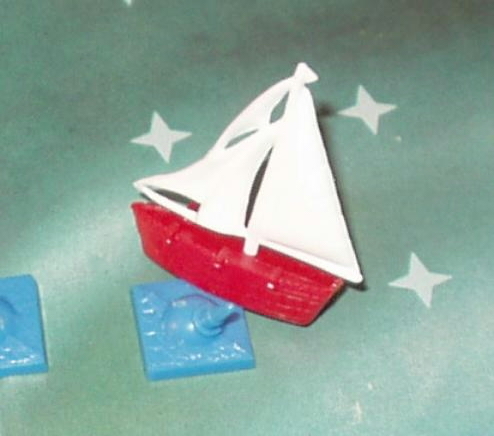 The booklet that came with Broadside was all about the tiny American Navy in the War of 1812. Today there is a lot of discussion about government spending that is out of control. In those days a penny-pinching Congress didn’t want to spend hardly anything especially when it came to national defense. This is why the American Regular Army was minuscule at the beginning of the War of 1812. Congress thought that the national defense could best be handled by militia. In this regard they had not learned the lessons of the American Revolution where the militia was notoriously unreliable and untrained and often melted away in the face of well-trained British and Hessian Regulars. Nevertheless, early America had a fear of standing armies perhaps with some justification and so our regular army was tiny and not prepared for a war with Great Britain. The naval picture was not much better. It was slightly better because the Congress realized the country needed a navy. We had fought an undeclared war with revolutionary France in 1798 (just about everyone was at war with revolutionary France) and we launched a punitive expedition against the infamous Barbary Pirates. 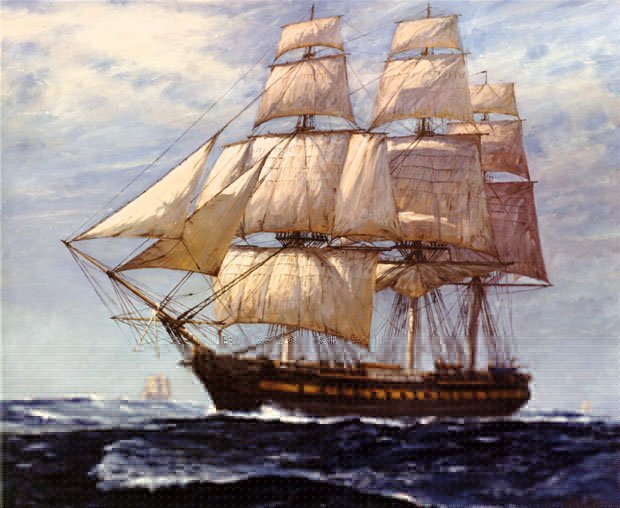 The American Navy though never amounted to more than an ocean-going police force that was sufficient to take on French privateers and pirate ships but not in a position to shoot it out with the most powerful and well-trained navy in the world, that of Great Britain with numerous Ship-of-the-Line and Frigates. We did have on the drawing board plans to build Ship-of-Line class ships and numerous frigates realizing that Britain was a potential enemy. There was always the fear that the British would change their mind about the American Revolution and seek to reestablish the colonies. The plans however came to nothing because Congress didn’t want to spend the money and so the US started the War of 1812 (yes we declared war first) with a naval force that had only six frigates. USS Constitution mounted 44 guns, sometimes 50. It was a super-frigate and outclassed the British frigates it faced. It was called “Old Ironsides” because it’s oak hull resisted cannon shot. However, the frigates were not ordinary frigates. They were in fact super-sized and in weight of broadside outclassed anything comparable on the British side. If both side’s crews were of roughly the same experience level and well captained then weight of broadside would carry the day. And this is in fact what usually happened. And it was the little booklet in the game Broadside that explained it all and it was that little booklet that caught the imagination of a ten-year-old boy and created within him an appreciation for the USS Constitution, Old Ironsides, a ship that is still in commission.